McKinney Falls today is a popular state park that provides miles of hiking trails and a camping ground. 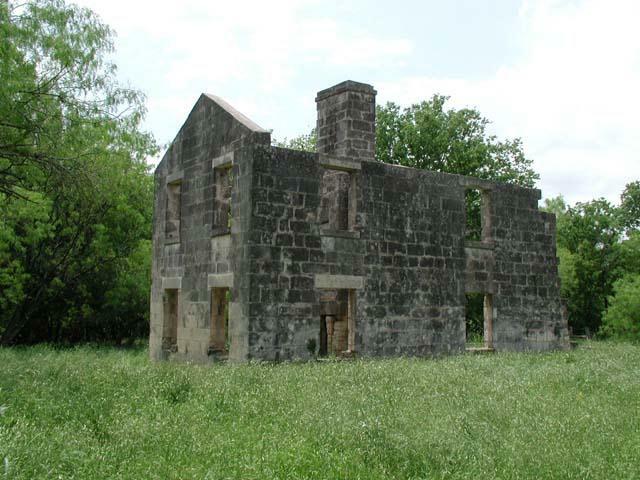 In the 1800's it served as the homestead for one of the men who helped Texas win its independence. Thomas Freeman McKinney was born and raised in Kentucky. In the 1820's his business dealings had him travelling between Missouri and Santa Fe New Mexico. On one of those occassions he made his way back through Texas and must have liked what he saw. He bought some land along the Brazos River near present day Texas A&M. When hostilities broke out between Texas and Mexico in the 1830s McKinney helped provide financial assistance through his business contacts in New Orleans. Soon after the war he also played a part in the founding of the city of Galveston. McKinney purchased the land that surrounds McKinney Falls park in 1839. At the time he bought 39,852 acres for $4,500, which included not only the 640 acres that make up the park today but also much of south east Austin, Bergstom Airport, Del Valle and Pilot Knob. The land that McKinney purchased laid unused through the years that Texas spent as an independent nation. In 1847 McKinney's brother James moved his family onto the property along Willamson Creek. 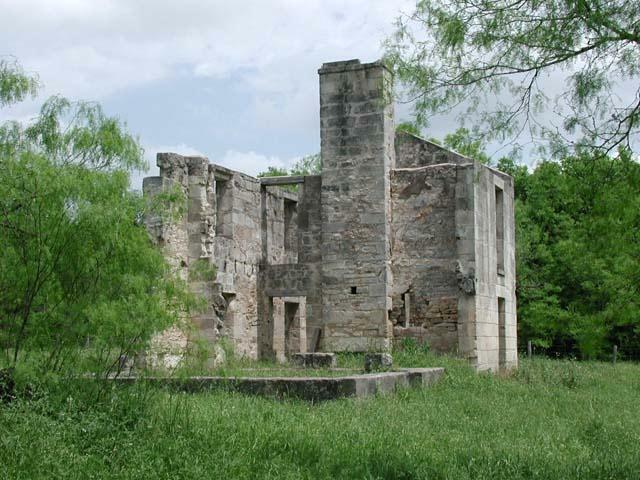 It was not until 1850, after Texas became a US state, that McKinney moved his family to the land along Onion Creek. The remains of McKinney's grist mill. 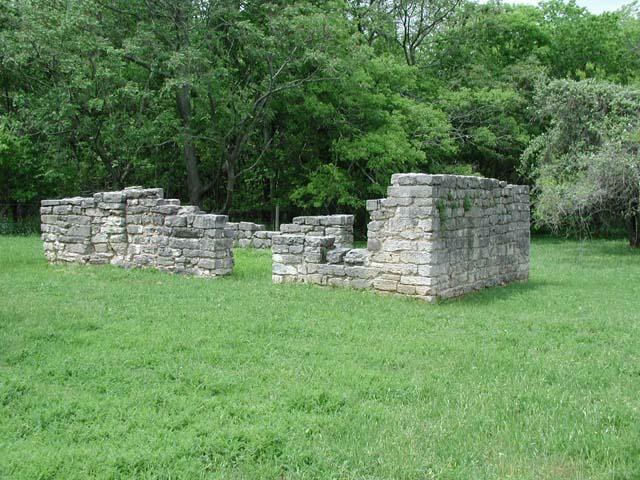 McKinney built a two-story limestone house made with stone quarried nearby. Lime to mortar the blocks together was made in a kiln on the opposite side of Onion Creek. 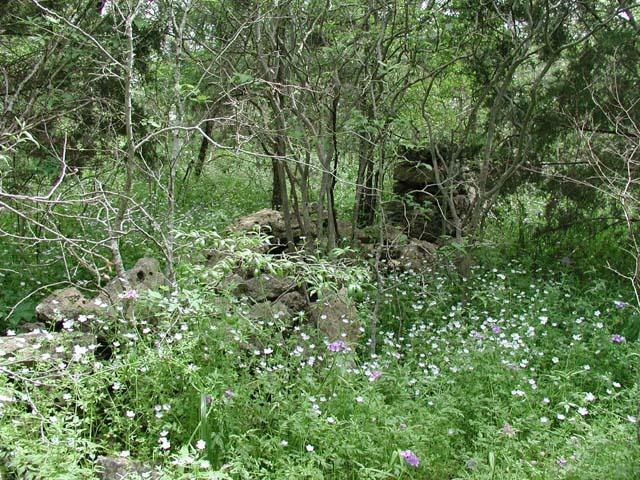 Timber from Bastrop County (probably near modern day McKinney Roughs) was used. The southern side of the house included a ten foot wide wooden porch on both stories. This house was in use for almost 100 years until it was destroyed by fire in 1943. 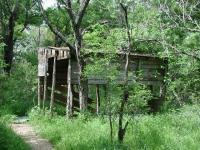 The gristmill was built to grind flour using the power of the flow of water along Onion Creek. A dam just above Upper McKinney Falls fed water to mill. A vertical iron bar held in place a wooden horizontal waterwheel that spun due to the motion of the water. The power was used to grind flour but may have also been used to drive machinery to cut timber. The mill was not a long term financial success and was destroyed in a massive flood in 1869. 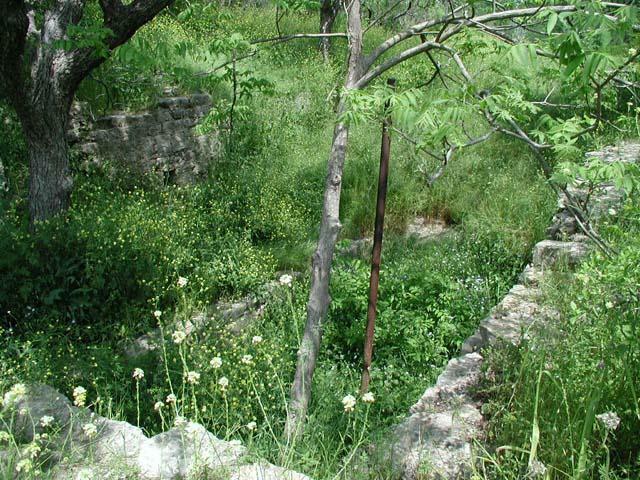 All that remains today is the vertical shaft and the stone retaining walls that made up the "basement". Upstream from the gristmill, just above lower McKinney Falls a large lava outflow from Pilot Knob sits two cuts in the rock that may have held in place the dam used to divert water to the mill. 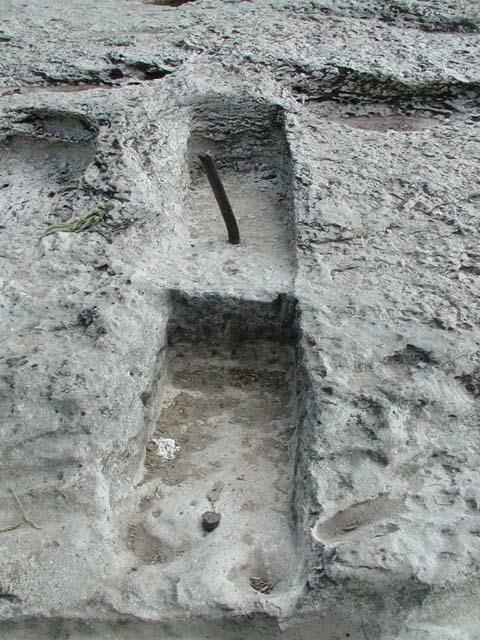 The notches include iron bars that have been drilled into the rock itself. 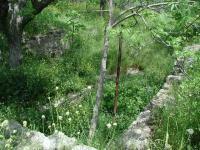 When we first visited McKinney Falls we were not sure what they were for until we read about McKinney's dam. The notch pictured here is matched up with a similar cut on the opposite side of the creek. McKinney had a keen interest in horses, which he inherited from his grandfather. So he built up his homestead to raise and race horses. His horse trainer John Van Hagan lived in a one story two room stone house south of Onion Creek. Van Hagan lived in the house from 1852 through 1873 when he moved to New York. Equipment Shed. This was probably in use near the time when the land was turned into a state park. 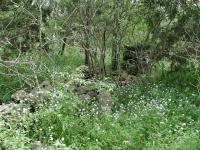 Conveniently close to the horse trainer's cabin, stone walls served as corrals. Some of the stone fencing can be found today near the park's entrance. On the other side of Onion Creek McKinney had a practice race track built. Not all of the ruins to be found at McKinney Falls State Park date back to Thomas McKinney. While hiking along the Onion Creek loop trail we can across an abandoned shed that was probably used by the Smith family, who owned the property up until the time it was donated for use as a state park. Known as a daring pioneer and the "Father of Texas," Stephen F. Austin has nevertheless remained an enigmatic hero. This book is the first major biography of Austin in more than seventy years, at last bringing into sharp focus his private life, motives, personality, character, and skills he employed as a central player in events leading to the Texas Revolution and the establishment of the Lone Star Republic.